Get awesome results. From large jobs to small jobs. Get it all done. All your repairs done quick. Nice and experienced local teams. Free expense estimates. Budget friendly rates. Your space will look great when it is finished. Is your home or business property needing a sheetrock professional to set up new walls or a ceiling? Or maybe you see a couple of spots where your walls or ceiling should be repaired. Talk with someone experienced installers of sheetrock ceilings and walls. They do repairs on them too. 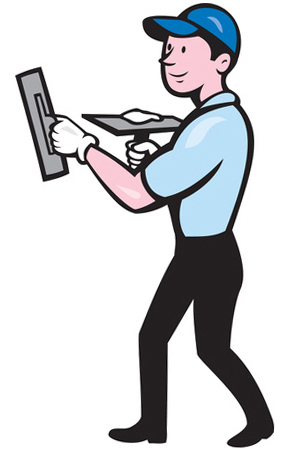 They complete a lot of big restoration and installation jobs, but they can commonly schedule in minor repair work also. On maintenance jobs, they will examine your property, repair what can be repaired, and remove and switch what needs to be replaced. And they work on residential, commercial and industrial properties all around south Seattle. 1. Trucking the drywall to the job site. 2. Putting up each sheet on the ceiling or walls. 3. Cleaning up and hauling away project trash and unneeded material. You could begin painting as soon as the fifth step is completed. In most circumstances, they take care of all the steps, from start to finish, but once in a while a property manager asks them to do just one or two of the steps. For example, if you wish, they will only install the product to the walls and ceiling and let you do the rest. 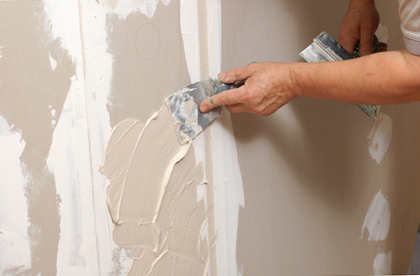 In a few instances, a house or business property already has sheetrock put up, but it isn’t sanded or finished yet, so they get called to come out and finish it and get it all set for painting. They don’t put up common drywall in high humidity rooms, they’ve got specific wallboards for that. Plus, they carry strong cement-based boards for any walls where you plan to put heavy tile on. Tile should be put on a sturdier wallboard product. It does not take very much to make a dent or hole in a typical ceiling or wall. And it happens more often than you may imagine. If your problem is just a solitary hole in a wall, you could likely get rid of it yourself. Every home improvement store sells a drywall patch kit. Putting on a wall patch is a little difficult. Some homeowner attempts turn out looking a little like a little bulge after the patched spot has dried and become painted. While you might certainly undertake small wall repairs, we advise getting a pro come over and take care of the bigger repair projects or tackle wall or ceiling patch repairs which are in the main, public places of your house. The last stage of the repair operation is to model the finish and texture of the new work so that it will match the previous finishes when it’s painted. Patching or repairing an isolated simple hole or break. Making some aged or dinged interior walls fixed and ready for paint. Removing and swapping out water damaged drywall. Engaging in large size removal and replacement of an entire room or even more. From very small wall patching assignments to major jobs, they can take the work on for you. Completely unfinished surface – only taped, suited for non-finished work or storage areas or garages. Smooth finish – no extra texture, ready for paint or wallpaper. Basic texture – comes with some extra dimension. Greater texture – height and dimension added and is more difficult to do. Texture match – make your new wall surfaces match up with your existing ones. Spraying a popcorn ceiling texture on a house’s ceiling was a favorite option years ago. These days, not so much. You can have someone take it off and give your ceiling a contemporary appearance. Let someone else manage your job, from beginning to end. Their target is to have their clients be happy with the results, the price and the process. The product they use in their projects are the finest quality. And they use the leading equipment and tools to complete the job right. Their staff realize that any house repair is disturbing for the homeowner. They’ll keep the procedure as stress free as they can. And they try to keep the dirt and dust to a minimum too. They can clean up after themselves when they’re done. They haul everything away with them when they’re finished with the job. Their work tasks are varied. They work a great deal at individual houses, but they also work in a selection of commercial buildings also. They work for commercial owners, individual owners or landlords, just let them know what you need done. They do their best to give you a good estimate. Your job cost will be based mostly on the size of the job and how much of the job you want them to do for you. The best way to supply a solid cost estimate is in person, but that usually isn’t feasible. The second best way is by spending a minute with them on the phone. If you don’t have another option for who is going to paint your new or restored ceilings and walls, they can deal with that problem for you. You can use a different commercial painter to get your new walls and ceiling painted, or you might take care of it yourself. Anything you want is fine. You can frequently find them working around many south Seattle suburbs. If your house or property is in or near Kent, Covington, Maple Valley, Des Moines, or the 98198, 98030, 98148, 98031, 98089, 98032, 98064, 98035 or 98038 zip codes – call. Where In South King County Do They Work? They work at properties all over the south suburbs of Seattle. This includes the Kent, Des Moines, Maple Valley and Covington areas, plus the 98030, 98031, 98198, 98148, 98032, 98035, 98089, 98064, 98038 and 98042 zip codes.